I never really quite imagined how difficult it would be to stare at this blank space, my heart filled with lots of words but my head telling me he is older now respect his privacy. It first began with thinking twice about what images to share, from time to time showing him any I was uncertain about sharing, and it has now become about juggling that fine line of how much to say. I can tell you we are so proud of his academic success achieving honor roll every quarter and that he continues to surprise us in the best of ways. 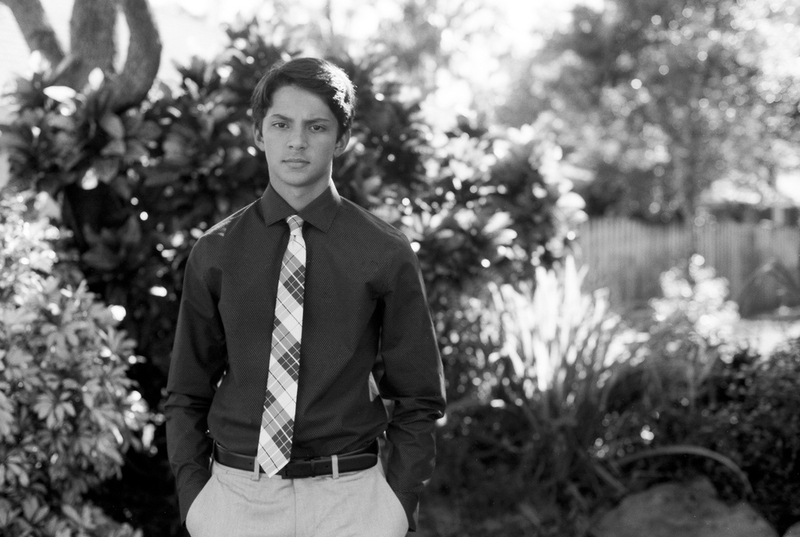 Some film portraits of our young man on the night of the 8th Grade Dance, as he closes the chapter of Middle School and looks forward to joining the High School Marching Band and Golf Team. Fim Geek Talk - This is my first time shooting Fuji Acros and I received different advice on how to shoot it so I decided to try metering from different places in the spirit of learning. Yes, some were grossly underexposed while others were just right. I never want the mistakes to keep me from sharing because this journey is not about achieving perfection. Creating images of our family that reveal my heart, their soul - that's what this is about. Please continue the blog circle with my good friend Lauren Keim at Still + Life. While you're there I encourage you to stay awhile and explore her gorgeous still life images.